climate science | John J. Berger, Ph.D.
Posted on August 20, 2013 by John J. Berger, Ph.D.
I’m continuing to make good progress on completing my forthcoming book, Climate Peril: The Intelligent Reader’s Guide to Understanding the Climate Crisis, and from time to time, I will include brief excerpts here that I feel may have broad relevance to the ongoing public climate debate, such as this brief psychological exploration of climate science denial. Please feel free to offer any comments, corrections or other feedback. “It’s worth pondering why, with information on the harsh impacts of climate change so readily available (as in the Global Climate Change Impacts in the United States (GCCIUS) report), we seem so unwilling to heed the trenchant warnings. Maybe it’s because the impacts of climate change are so dire they produce a surreal sense of gloom. How much easier to focus on mundane daily events over which we have more control. So we detach psychologically from unremitting bad news, or we deny it. We deal with pressing immediate concerns, and we welcome distraction. Our favorite TV shows beckon. So do movies, sports, music, and the web. How much more pleasant to escape from seemingly intractable global problems. So we refrain from getting involved or we embrace the illusion that life can go on as normal if we ignore the gathering climate crisis. But there must be more to it than that. Why else might we as a nation be so unwilling to fully face the realities of climate change? Why do we seem so lethargic at best in responding to the ever more urgent warnings that scientists are delivering about it? The reasons are intricate and include the inherent complexity of understanding the climate system, and the difficulty of grasping some aspects without scientific training. The phenomenon known as cognitive dissonance also explains the tendency to deny climate change or its implications. In cognitive dissonance, one is so heavily invested cognitively or psychologically in an existing belief system that the beliefs are fortified by our (often subconscious) awareness of how damaging acceptance of a new belief or system would be to the older, deep-seated and familiar belief structures. Cognitive dissonance operates even more powerfully when a new reality not only threatens old beliefs but also threatens to impose unwanted new economic costs, sometimes in the form of inconvenience, investments, or lifestyle changes. Such changes are likely given the pervasiveness of the carbon energy systems on which our society currently depends. Cognitive dissonance thus “kicks in” as we each consciously or subconsciously weigh the personal costs of more fully realigning our lives with the low-to-zero-carbon lifestyle that a complete commitment to climate protection requires. John J. Berger, Climate Myths: The Campaign Against Climate Science (Berkeley, CA: Northbrae Books, in press, 2012). For an account of an organized effort to capitalize on the natural tendency to deny the reality of climate change, see John J. Berger, Climate Myths: The Campaign Against Climate ScienceI (Berkeley,CA. : Northbrae Books, 2013). Posted on August 9, 2013 by John J. Berger, Ph.D. Grist reported last June that activists protesting the Keystone XL tar sands pipeline throughout the midwest have been subjected to a vicious and calculating disinformation campaign by the pipeline sponsor, TransCanada. Completion of the pipeline would be a step backward in the battle to curb global carbon emissions and slow dangerous climate change. Project opponents have been protesting peacefully and nonviolently. TransCanada, however, is not responding amicably. According to the report, TransCanada has been characterizing demonstrators as terrorists and has been attempting to persuade the Nebraska State Patrol, FBI and Department of Homeland Security to treat them as such. This is yet another instance where a fossil fuel company has resorted to disinformation in an effort to build public support for its case. As the following excerpt from Climate Myths points out, these tactics have been going on for a long time. “For decades, the oil and coal industries and some of their largest industrial customers have conducted a sophisticated and wildly successful multimillion dollar campaign based in the U.S. to convince the American public that climate change is not a serious threat. The impetus for the campaign has been to protect industry profits by blocking any action designed to reduce the emission of carbon dioxide and other global heating gases produced in burning fossil fuels. 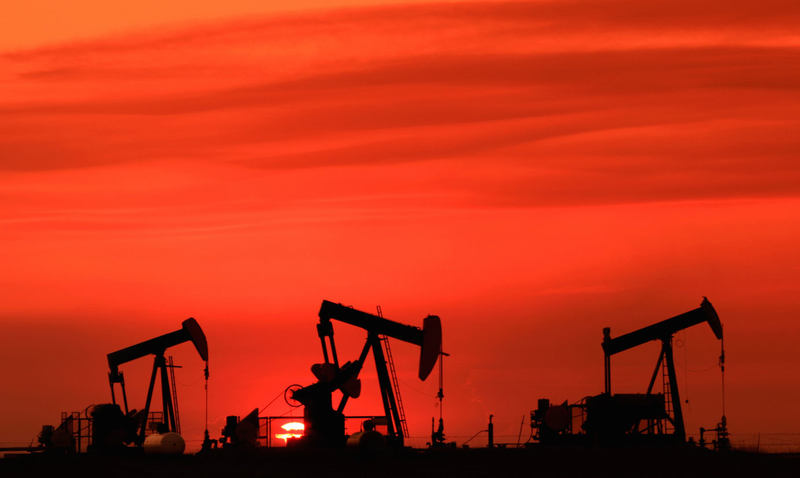 Fossil fuel industry leaders have long known that as policies to address the dangers of fossil fuel burning and climate change were progressively made into law and policy, they would ultimately affect profits. Anticipating these threats to their income and wealth, large fossil fuel energy companies—and those who have made common cause with them—decades ago mounted a well-funded campaign to discredit climate science. Its architects recognized that, if successful, the campaign would provide the rationale for their political and legislative efforts to obstruct public policy efforts aimed at climate protection. The beginning and expansion of this campaign are the subjects of this book. In the political arena, the energy company campaign not only succeeded in confusing facts about climate change but also managed to undermine U.S. participation in the 1997 Kyoto Protocol, a precedent-setting international climate protection treaty discussed frequently throughout this book (see index for complete listing). The fossil fuel industry achieved this political triumph by providing the arguments that were used in turning Congressional sentiment against the Protocol. The industrial opposition to climate science and climate-safe energy policies has grown more sophisticated and varied over the past decade. The campaign operates through dozens of industry-funded institutes, policy centers, councils, research foundations, and societies that speak for industry on climate and energy. The climate “skeptics,” as they like to be called, include anti-government and anti-regulation conservatives and liber- tarians who oppose government action on ideological grounds. Their strategy has often been to hide ideologically based misrepresentations of climate science beneath a mantle of science. A review of scientific publications on climate, however, reveals that whereas many thousands of high-quality scientific papers validated by peer review have been published docu- menting all phases of global warming, only a trivial number of dissenters who dispute the evidence have published in similar journals. Moreover, by contrast, the results of climate studies confirming global warming and humanity’s role in it can be found in the most prestigious scientific journals. Almost without exception, the deniers’ reports appear in publications that are not peer reviewed, since their objections to climate science have been repeatedly refuted; thus they are of little interest to responsible, well-respected scientific publications. Finally, the national academies of science of most nations of the world have passed resolutions affirming that we are warming the planet. Although climate change is a scientific issue, it has been adopted as a Republican “litmus test” issue by certain Republican Party spokesmen and thus public opinion surveys show that more Republicans than Democrats characterize themselves as “climate skeptics.” These individuals today appear less focused on disparaging climate science than in the past, when climate science was less settled. Nowadays they seem to have shifted tactics to focus more attention on defeating the environmental and energy policies implied by climate change concerns. In the initial stages of the climate debate, industry proxy organizations often flatly contradicted climate science and claimed, variously, that the Earth was cooling or at least wasn’t warming, or that if the Earth was warming, the warming wasn’t due to human activity, or that if the Earth were to warm, it would be mild and beneficial. Many of these discredited claims have been abandoned by all but diehard opponents of climate science as the global scientific consensus on climate change has strengthened and as the evidence for global warming has become overwhelming. Some deniers still persist in presenting discredited arguments, however. For example, industrial critics of decisive action on climate change (such as the National Association of Manufacturers) made a case in Congress and with the public in 2009 that effective measures to reduce carbon emissions would bring economic disaster in the form of high taxes, lost jobs, lower productivity, and reduced competitiveness for America in world markets. Since their arguments weren’t gaining traction in the world of science, industry-funded think tanks then spent millions of dollars making their case against climate science to more gullible media, government officials, opinion leaders, students, and the general public. Climate skeptics and their allies have thus become a major presence on the Internet, over radio, and on TV airwaves, as well as through industry-sponsored books, magazines, articles, reports, and press releases. An unsuspecting person who uses an Internet search engine and enters terms commonly associated with climate change will be hard pressed to discern the truth amid the plethora of misleading information many of these organizations provide. Since some of the most effective arguments consist of deceptive statements wrapped in layers of truth, it can be very challenging for students and others without advanced scientific training or sophisticated rhetorical and analytical skills to sift truth from falsity without investing lots of time. For a comprehensive list of fossil fuel-industry myths complete with detailed scientific rebuttals, see Climate Myths: The Campaign Against Climate Science. A wholesale write-down of these reserves will occur when financiers and other investors decide that a portion of these reserves cannot be developed. These reserves contain several times as much carbon dioxide as the atmosphere holds and far more than the 565 gigatons that scientists believe it can contain before global temperatures spike more than 2° C. The complete combustion of these reserves would thus destroy the Earth’s climate. Therefore, much of these assets inevitably will have to be entirely written off for the foreseeable future. 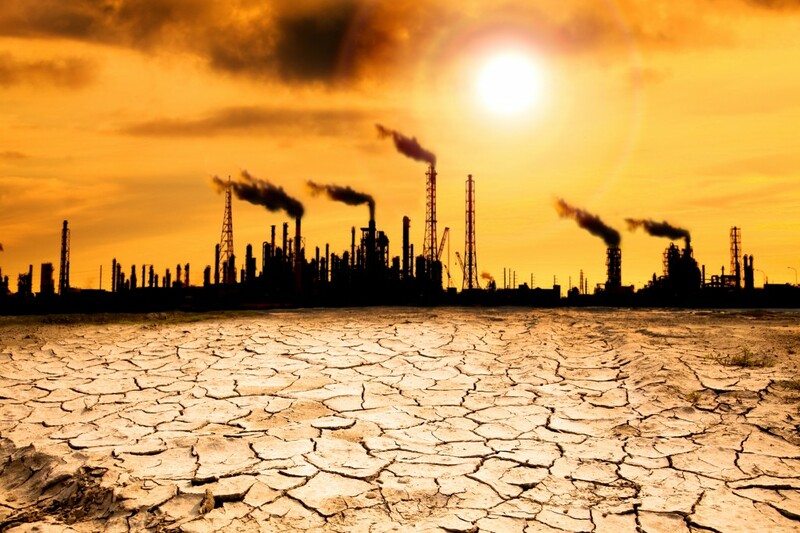 Posted on August 5, 2013 by John J. Berger, Ph.D.
Scientists have been warning the world for decades about the climate dangers linked to our continued heavy reliance on fossil fuels. Why haven’t policymakers heeded their warnings and acted long ago? The answer lies in the fossil fuel industry’s successful two-decade-long campaign to obfuscate the causes and effects of global climate change, stalemating policymakers. The campaign was modeled on cigarette companies’ campaign to convince Americans that tobacco was not a health hazard, and how it operated to sow doubt about climate change through a network of prominent proxy organizations. The leaders included people who had fought pesticide, asbestos, and CFC regulation to protect atmospheric ozone. From denial of global warming, the industry has now shifted to claiming that― while climate change may be real―it is still controversial, gradual, and above all, far too costly to act on. Such divisive tactics have brought us to an impasse: national and international policy processes have been virtually paralyzed, with significant portions of the American public deeply confused about critical climate issues. We have thus been left vulnerable to extreme weather, as epitomized by Superstorm Sandy. The industrial opposition to climate science and climate-safe energy policies has grown more sophisticated over the past decade. The campaign operates through dozens of industry-funded institutes, policy centers, councils, research foundations, and societies that speak for industry on climate and energy. They are identified, and their myths are rebutted in my recent book, Climate Myths: The Campaign Against Climate Science. The climate “skeptics,” as they like to be called, include anti-government and anti-regulation conservatives and libertarians who oppose government action on ideological grounds. Their strategy has often been to hide ideologically based misrepresentations of climate science beneath a mantle of science. A review of scientific publications on climate, however, reveals that whereas many thousands of high-quality scientific papers validated by peer review have been published documenting all phases of global warming, only a trivial number of dissenters who dispute the evidence have published in similar journals. Because of the resulting confusion over now clear-cut scientific issues, much of the public still denies global warming or doesn’t take it seriously. Thus, for example, they believe industry-sponsored myths that we are in a natural warming cycle that has little or nothing to do with human influence, or that the scientific foundation for concern about climate change is uncertain and unproven. To the contrary, time is of the essence in keeping heat-trapping gas emissions from getting dangerously higher. An alarming recent report to The World Bank by the prestigious Potsdam Institute for Climate Impact Research and Analytics concluded that the world is now on a path to an average temperature rise of more than 7˚F by 2100. This puts the climate at great risk of reaching a “tipping point” at which large irreversible climate changes amplify the initial human-induced warming in a positive feedback cycle to create uncontrollable planetary overheating. The European Commission’s Joint Research Centre and PBL Netherlands Environmental Assessment Agency recently found that human-induced global carbon dioxide emissions grew 45 percent in only the 20 years from 1990 to 2010. According to the U.S. Department of Energy’s Energy Information Administration, global carbon emissions will be almost twice 1990 levels by 2035. This assumes continued increases in energy use and a failure to shift significantly from fossil to renewable energy. Acting promptly to lower emissions rates now, however, will reduce risk, provide economic benefits, and mitigate damage. Of course, it is not enough to merely halt the increase in carbon dioxide emissions. The climate cannot tolerate the stabilization of carbon emissions at current levels without producing more powerful storms, tornadoes, droughts, and floods. Not only are current emissions rates too high, but even if we were to hold current emissions steady, which would be a big improvement, the concentration of carbon dioxide and other greenhouse gases in the atmosphere would still continue rising for hundreds of years, since they’re already pouring into the atmosphere far faster than natural processes can remove them. Thus, even holding emissions steady will worsen the climate crisis. Furthermore, even if the concentration of carbon dioxide could be magically lowered to a historically safe level, the Earth would still continue heating for hundreds of years because of stored heat the oceans will be gradually releasing. For a more livable, not to mention a more pleasant, climate like the one in which humanity has existed since the last ice age, not only will emissions need to be stabilized, but they will need to be reduced below the rate at which carbon dioxide is removed from the atmosphere by natural processes. Otherwise the concentration of carbon dioxide in the atmosphere will continue to increase, even though emissions might be stable. If any reservoir is filled faster than it’s drained, even if it’s filled at a constant rate, the level of the contents will rise. Currently, about half the carbon dioxide humans pump into the atmosphere is removed by natural processes in about 30 years, with about 30 percent staying in the atmosphere for a few hundred years and about 20 percent staying for thousands of years. By contrast, to get the atmospheric carbon dioxide level back to safer and more normal levels (300–350 ppm) as quickly as possible, manmade carbon dioxide emissions need to be virtually eliminated, rather than merely stabilized. That means shifting with all deliberate speed largely to noncarbon and carbon-neutral renewable energy systems while actively removing carbon from the atmosphere into long-term storage and preventing its escape back into the air. Unfortunately, we are nowhere near either a political consensus that this should be done, or the adoption of an action plan to accomplish it. Some people may resent that I am outspokenly critical of climate science denial and the institutions that have supported it. I believe, however, that false claims need to be rebutted if sound climate policy is to be adopted. Discussions about climate change do not take place in a vacuum. The IMF recently issued a study showing that subsidies for petroleum products, electricity, natural gas, and coal reached $480 billion in 2011. Someone is getting that money. The larger political and economic context of the climate discussion therefore needs to be understood by people seeking to get to the truth about this vital subject. Now that the key scientific facts are in, and the increasingly dire consequences of climate change are becoming ever more clear and alarming, it is unconscionable to continue circulating misleading, discredited information. People who knowingly do so for ulterior motives need to be held accountable in the court of public opinion, not kow-towed to. At the same time, many people of good will have been genuinely hornswoggled by the fossil fuel industry’s disinformation. They have no wrongful motives. They need solid, reliable information. When they receive it, I believe they will recognize that action to protect the climate urgently needs to be taken. Posted on August 1, 2013 by John J. Berger, Ph.D. The fossil fuel industry often works through proxy organizations and individual climate skeptics, who generally have no credibility on climate issues but who are good at shaking public confidence in the conclusions of climate science to paralyze the policy making process. The Greening Earth Society was one such organization. You might think from its name that it was an environmentally oriented group. But no, The Greening Earth Society was a creation of the Western Fuels Association, a $400 million coal producer co-op. From its website (www.greeningearthsociety.org), this benevolent-sounding “green organization” served as a gateway to coal, oil, and mining industry-funded think tanks and institutes as well as to publications rife with misinformation. Some of the materials circulated by the “Just Say ‘No’ to Climate Change” folks even targeted elementary school children through their teachers. When I last searched for http://www.greeningearthsociety.org in 2008, the website was no longer operational. However, at the Western Fuel Association’s website, I found a link to the Center for the Study of Carbon Dioxide and Global Change, whose website denies a connection between the Earth’s recent warming and increased atmospheric carbon dioxide. Climate skeptics have played a critical role in the coal and oil industries’ efforts to foster doubts about climate science and fears of an economic meltdown. Although the skeptics present themselves to the public as independent scientists or respected climate experts, most of the best known of these “objective thinkers” have taken significant amounts of energy industry money for themselves or their organizations, and they espouse scientifically dubious positions. Individuals like these, supporting views far outside main- stream climate science, have paraded before the media, their presence falsely suggesting a pervasive disagreement among climate scientists and obscuring their wide consensus. At times, climate skeptics have recycled discredited scientific opinion on the assumption that the public would be unable to sort out the truth. In doing so, they enjoyed a great advantage. Unwary or irresponsible members of the press have often given these erratic views equal time with those of responsible, reputable climate scientists, creating the false impression that the basic ideas of climate science are widely disputed. Uninformed readers and listeners might be inclined to regard both sides of the make-believe controversy as equally credible, and “split the difference,” since one side said there was a serious problem and the other side claimed there was none. For an example of just how irresponsible a newspaper can be in publishing nonsense about climate change, see, “Science Has Spoken: Global Warming is a Myth,” which appeared in The Wall Street Journal on December 4, 1997. Its authors, chemist Arthur Robinson and his son Zachary, ran the tiny Oregon Institute of Science and Medicine outside Cave Junction, Oregon, from which they marketed nuclear bomb shelters and home-schooling advice. Another attempt to cloak the climate disinformation campaign in the trappings of science was a “Global Warming Petition” supposedly signed by 17,000 U.S. scientists, but whose names were published without any identifying titles or affiliations. (The list included author John Grisham, several actors from the TV series M*A*S*H*, and a Spice Girl.) The petition was circulated by none other than Dr. Robinson’s Oregon Institute of Science and Medicine. With the petition came a bogus “eight-page abstract of the latest research on climate change,” formatted to look like a pub- lished scientific article from the prestigious Proceedings of the National Academy of Sciences, with which it had no connection. Filled with misinformation and put together by the Robinsons and two coauthors affiliated with the George C. Marshall Institute, the tract was accompanied by a letter of endorsement from the late Dr. Frederick Seitz, a former pres- ident of the National Academy of Sciences in the 1960s, who contended that “global warming is a myth.” Dr. Seitz was a physicist, not a climatologist, and in the opinions of at least two very prominent scientists, “has no expertise in climate matters.” He had been, however, “one of the last remaining scientists who insist that humans have not altered the stratospheric ozone layer, despite an overwhelming body of evidence to the contrary.” Dr. Seitz’s views illustrate that expertise and professional distinction, even in physics, does not insure good judgment in another area of science and policy. 1. Samuel Thernstrom, “Beyond Kyoto,” The American, September 27, 2007. 2. David Callahan, National Committee for Responsive Philanthropy, “$1 Billion for Ideas: Conservative Think Tanks in the 1990s” (Portola Valley, CA. : The Commonweal Institute, 1999). 3. “Patrick J. Michaels, Cato Institute: Policy Scholars” (Washington, D.C.: The Cato Institute, 2010), http://www.cato.org/ people/patrick-michaels.